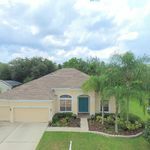 Sold a Single Family home in 2019 in Debary, FL. 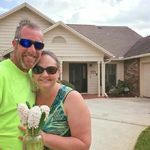 We met Jeremy and Jody by chance when looking to purchase a new home. They were confident they could sell our old home quickly. Both came over and provided staging tips and what to expect during the sale process. They came back and took beautiful pictures, a video walk through and even aerial photos/videos from a drone! Using modern technology and getting our listing out there we quickly had interested buyers. Their communication was stellar throughout the entire process and within in a week we had multiple offers. We discussed them in detail with Jeremy who worked with the buyers to get us the best possible offer. After that, they stayed in constant communication with us, answering all our questions, and dealing with the inspection, appraisal, and final walk through. We didn't really have to do anything except keep the house clean! It was far less stressful than I could have ever imagined thanks to the professionalism and hard work from this amazing real estate duo! The sale went through flawlessly and papers were signed. I would highly recommend allowing Jeremy and Jody sell your home. We are so impressed with them that they are also our agent for buying our new house. Thank you both for making this process so smooth! Sold a Single Family home in 2018 for approximately $300K in Winter Park, FL. We had an excellent experience with Jody and Jeremy. They're savvy not just about the real estate market and buying process, but about current marketing strategies. Also, super friendly, quick to respond, and easy to work with. Would definitely recommend checking them out. 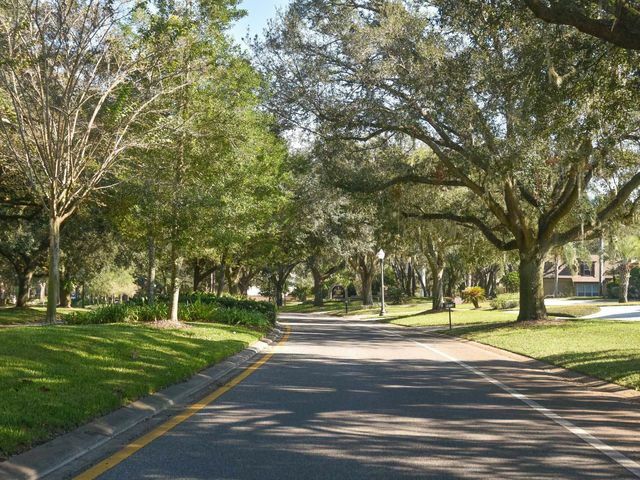 Bought a Townhouse home in 2019 for approximately $275K in Winter Springs, FL. I had a wonderful experience recently with Jody Deabenderfer! I was looking to either rent or to buy a new home rather quickly, and I was under some pressure to find something in my price range and also in an area which would be convenient to our local schools. I was downsizing and ready to move forward after a recent life transition, and I needed someone experienced who could really help me in my difficult situation of figuring out how to proceed. Jody immediately found some nearby properties to see, and within the first week we had looked at quite a few neighborhoods and types of homes/townhomes. She also kept me informed daily as to new listings~it was super convenient to just log in and look at the homes we'd narrowed down. Once I realized that renting was going to be incredibly expensive, especially in Winter Springs, I decided to move forward with buying my first home on my own. As a single Mother with a child, it was so important that we find a safe neighborhood, and that we could be located near my elderly parents and our zoned schools. I wanted a neighborhood with some kids as well so that my daughter could find the transition easier. 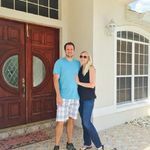 Jody immediately took us to a neighborhood we fell in love with, and although we didn't end up buying the first home we thought we would, we ended up finding another gem, and as timing would have it, we were able to close in just enough time. Jody kept me posted on everything I needed to do and she was able to suggest anything I needed throughout the process. We have now moved into our new townhome, and it's absolutely wonderful here! I truly feel like I had the best realtor possible for our situation especially, and I would like to make sure to say that Jody is truly professional and exceptional at what she does. Sold a Single Family home in 2018 for approximately $325K in Winter Springs, FL. This was our first experience selling a home. Jody and Jeremy could not have made the process any easier. They sat down with us and patiently answered all of our questions and provided a detailed outline of the process. They put together a full marketing plan to get the most exposure for our residence. The listing photos were spectacular and the walkthrough video added that enticing element. Within the first day of listing, we already had several showings scheduled. Every showing request was coordinated by Jody and/or Jeremy. All we had to do was give the okay. One week to the day after listing, we were under contract. Jody and Jeremy were always available to quickly respond to all of our questions. They also did an excellent job of outlining the “what’s next” as we went through each stage of the selling process. Whether it was coordinating the inspection, appraisal or monitoring the progress with the buyer, they made it all stress free and were with us every step of the way. Bought a Single Family home in 2018 for approximately $425K in Apopka, FL. I connected with Jody at an open house, in my neighborhood about a year ago. I shared with her an impossible list of things I wanted in a new home. We wanted to "right-size", but still have nice features, storage space, a view, quality finishes etc. etc. She kept my list in mind and advised me almost weekly about potential listings that were close to my dream list. In August, she contacted me about a listing that had just dropped in price, and was now just a bit above my desired price range. We looked at it, and it was as close to my list as I think I would ever get. It had quality features, enough space for us, storage, a killer view and location and was a perfect fit for our lifestyle. Two days later we made an offer and within 4 weeks, we were moving in. Thanks to Jody's persistence, contacts and extreme patience, we have our forever, "right sized" home. I would highly recommend her to anyone who thinks their homeowner dreams are impossible. She can help you realize those dreams! Thanks again Jody for your diligence and professionalism, as well as your patience in finding us just the right home. 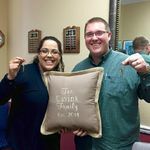 Bought a Single Family home in 2018 in Boones Mill, VA.
Jody and Jeremy was so helpful in finding us a home within our budget , size and location . Always had the information about the property and keep us informed about any changes. I would highly recommend Jody and Jeremy to help you with finding you a new home . Sold a Single Family home in 2018 for approximately $225K in Davenport, FL. Jody and Jeremy have been amazing for my family through the whole process of selling our home. They have been extremely responsive to all of our questions and concerns. Their responses were always so well thought out and researched, they really know what they are doing. I can’t recommend Jody and Jeremy enough and I’ve already begun telling my friends and coworkers about the above and beyond service they have provided. For further proof of this, just look at one of their MANY listings. The pictures are gorgeous and really sell your home. The descriptions are thoughtful and point out all the wonderful features of your home. It’s not just a quick one or two sentences that tell you nothing you can’t see from the photos, and at not full of cringe worthy buzzwords. If you’re still reading this review, why?! Contact them already!! You won’t regret it. Sold a Single Family home in 2018 for approximately $300K in Davenport, FL. Kathy provided us assistance from listing to the sale of our home. She is extremely knowledgeable and very patient with any questions or concerns we presented. It is with great pleasure that we recommend this team. Sold a Single Family home in 2017 for approximately $425K in Winter Springs, FL. Jody and Jeremy are a very knowledgeable and professional realtor team. They assisted us in pricing our home right and also marketed it so well that we received a full price offer the day it went on the market! They kept us informed during the entire process from contract to closing and everything went smoothly. I would not hesitate to use them again. They truly are the best of the best!! Bought and sold a Single Family home in 2017 for approximately $250K in Winter Park, FL. My husband and I have worked with both Jody and Jeremy twice now- in helping us buy our 1st home and aiding us in the selling process as well- both experiences could not have been smoother. Their market knowledge, marketing plan and support is the best I have seen. When buying our first home they were incredible supportive and educated us along the way. We just recently sold our home with them. We received an offer the day we listed the home and ended up selling our home within 2 days of listing and closed for above asking. They not only are incredibly knowledgeable they are great to work with!! Bought and sold a Single Family home in 2017 for approximately $375K in Apopka, FL. 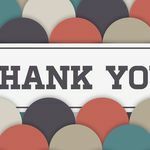 Jody & Jeremy are two of the most honest, helpful and hardworking realtors, we have ever encountered (and we have bought and sold several properties). They are also very knowledgeable, they truly know the market. I could go on and on about how happy and satisfied my husband and I are with the work ethics of Jody and Jeremy, but I'll simply leave you with this: They have been our realtors in the sale of two homes and purchase of two homes. And we wouldn't hesitate to utilize them again. Bought and sold a home in 2017 in Slavia, Oviedo, FL 32765. Jody and Jeremy were wonderful to work with. They assisted us in purchasing a new construction home. From the negotiating process to meeting at the design center and multiple home walkthroughs they were with us every step. 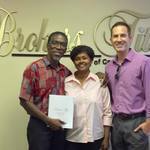 In addition to purchasing a home with them they also helped us in selling our home. Jeremy did an amazing job on the photo and videos to make our home look it's best. Jody was helpful in the staging process and finalizing everything with our buyers. Our home was on the market for one day and received multiple offers. If you are looking for an experienced team look no further. Bought a home in 2017 in Maple Leaf Court, Little Falls, MN. Kathy was a pleasure to work with. Very friendly, easy to work with, and knowledgeable about the area. She is very responsive to texts or calls and always available to answer questions. She was both the listing and selling agent for the property, which initially was a concern, but I believe she represented both the seller and the buyer with the utmost professionalism and fairness. Being new to the area, Kathy assisted with contact info for utility services and vendors, making the process easier for newcomers. I would definitely recommend Kathy as a realtor! Sold a Single Family home in 2017 for approximately $225K in Lake Mary, FL. We were thrilled to have Jody & Jeremy Deabenderfer guiding and helping us sell our home. They assisted in putting together a precise marketing plan, incredible pictures & professional videos to advertise our home. We received many showings and multiple offers. They expertly coordinated showings, inspections, appraisal issues, monitored the progress with the buyer and was there every step of the way until closing. 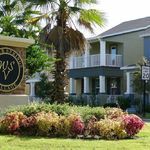 Sold a Townhouse home in 2017 for approximately $350K in Maitland, FL. I have been working with Jody and Jeremy Deabenderfer for about a decade, since I moved out of Florida in 2008 with an under-water townhouse. I couldn't afford to sell it for a big loss, so Jeremy helped me find a tenant. After that tenant moved, he helped me find a second tenant that stayed in the house for over seven years. With 2017 showing some appreciation in my community's home values, I didn't hesitate to look to the Deabenderfer team again for a listing agreement. In June of this year, we closed without any issues. I'd recommend Jeremy and Jody for any realtor needs in the Orlando area. Sold a Single Family home in 2017 for approximately $250K in Winter Park, FL. Jody and Jeremy are the best Realtors in the business. They deliver results by utilizing current marketing tools such as drone videos, high-resolution photography and strategic online advertising. From start to finish, you'll find this dynamic team to be highly responsive and knowledgeable. With their assistance, we sold our home in four days with a full price offer. Bought a Single Family home in 2017 for approximately $225K in Davenport, FL. Kathy is an EXCELLENT realtor! She knows the area and she knows the value of homes. She worked very effectively for us in our purchase. Kathy has the "gift" of combining personal, human interactions with highly professional guidance. We felt very cared for as we purchased our home. We would highly recommend Kathy to anyone looking to buy a home in this area. 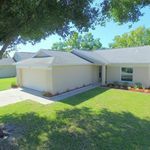 Bought a home in 2017 in Davenport, FL 33837. Kathy was the listing agent on a home in Del Webb Orlando. We contacted her (on a Sunday) and she was gracious, very helpful and knowledgeable about the area. She sent us additional resale listings as well as options for builder spec homes. On resale listing(s) where she would be both the seller's agent and the buyer's agent we were a bit leary, but once we met her we had the utmost confidence that she was fair, honest and professional. We felt that she had both sides best interest at heart. The offer/negotiation/acceptance/contract process was smooth and efficient. Throughout she was very attentive and responsive to all our questions .. and there were a lot. She kept us apprised of the status for closing, and provided guidance and contacts to help with setting everything up so the transition would be seemless. We would highly recommend her. She really works hard to for you. Found a tenant for a Single Family home in Sanford, FL. Jody and Jeremy are awesome at what they do! They are organized, helpful, knowledgeable, and get the job done 🙂 Very happy with their service! They were able to take pictures & videos to advertise our home to receive many showings. They were able to show our home to many prospective tenants and perform a background check on tenants to find the best possible tenant. They also helped to negotiate terms to write up the lease to get a well qualified tenant. Along with other helpful things. Sold a Single Family home in 2017 for approximately $325K in Winter Springs, FL. Jody and her husband Jeremy were able to assist us with putting together a marketing plan, pictures & videos to advertise our home to receive many showings. They were able to present multiple contracts to receive the highest offer possible, monitor the progress with the buyer, and be there every step of the way until closing. Jody and Jeremy really made this process of selling our home great and easy as well and I would absolutely recommend them to anyone looking to buy and/or sell a home. Bought a home in 2017 for approximately $275K. Thank you so much for being the professionals that you are. You made the process easy and you were always able to be reached. We will recommend you to everyone who needs a Realtor! We want to say Thank You for all your efforts and patience in finding us our 1st home. 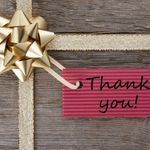 You definitely went above and beyond the call of duty to ensure we were completely satisfied and made out house hunting experience a pleasant one. Thanks Jody for the great ideas to implement in our new home. (We have already ordered the California Closets). 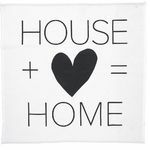 We will refer anyone interested in selling/ purchasing a home to you and could not be happier with the home we selected. We look forward to working with you in the future when we purchase our 2nd home. Jeremy and Jody did a fantastic job selling our home in a down market. Every aspect of the listing and sale was handled in a professional and efficient manner. Especially noteworthy was their prompt return of phone calls and timely updates that were received weekly. Jeremy and Jody are great! We were originally trying to sell our home ourselves. . . .
We can’t thank you & Jody enough for taking care of the sale of our home. You were both always available when we needed you and were a pleasure to work with. As you know, we were originally trying out sell our home ourselves and after a long time of getting no results and having other people waste our time, you came along and changed everything. We still can’t believe that you both were able to have our home under contract within 5 days of listing it! Thanks again for handling everything while we moved across country. You guys are the best! Knowledgeable, Hardworking & Diligent . . . In 25 years buying & selling in real estate, we have never found another Realtor that has such unique talents and interest in their clients. We found him to be knowledgeable, warm, conscientious, hardworking and diligent. He has kept us informed every step of the way, both from a buying and selling point of view. Above all, his honesty is above reproach. We have utilized Jeremy’s services 3 times and each time we were beyond happy after each closing . We will definitely be using hime again in any future endeavor. If we had to rate him on a scale of 1-10, we would say 10 ++++. Our experience with Jeremy was one of focused professionalism with straight forward answers. We put our home on the market in the summer of 2006 in the highly competitive Rock Springs Ridge community. Jeremy kept us abreast of the re-sale pricing and changes as well as the builder pricing plus incentives which allowed us to make the right pricing decisions regarding our home. His marketing of our home as well as his website marketing provided us with the best marketing opportunities. His website even generated the buyer for our home. If you are ready to sell your home and willing to listen to honest answers and guidance – Jeremy is your man! Jeremy, thanks so much for going above and beyond to sell our home in a tough market. Everyone that I talk to is amazed that you sold it as fast as it did with so many homes on the market. You have helped make it possible for us to realize our dream and we are very grateful for that. Jeremy & Jody Deabenderfer . . . . The “A” Team. 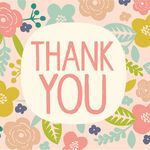 “We cannot thank them enough for the knowledge and professionalism that they displayed during the listing and the sale of our home. Their expertise in the real estate sales industry is clear and the results showed in every facet of the process, from their advice in the staging of our property to the multiple offers in a surprisingly short time, 3 days 🙂 , and the seamless, on-time closing. Sold a Single Family home in 2016 for approximately $150K in Orlando, FL. Jody & Jeremy Deabenderfer . . . . The "A" Team. We cannot thank them enough for the knowledge and professionalism that they displayed during the listing and the sales of our home. Their expertise in the real estate sales industry is clear and the results showed in every facet of the process, from their advice in the staging of our property to the multiple offers in a surprisingly short time, 3 days 🙂 , and the seamless, on-time closing. Sold a Single Family home in 2016 for approximately $500K in Oviedo, FL. They were excellent at negotiating, getting us above asking price on our home sale. Jody and Jeremy Deabenderfer are true professionals. They managed every detail from staging our house, taking professional photos, including aerials and video. They were excellent at negotiating, getting us above asking price on our home sale. They also found us our dream home under budget and managed the difficult process of closing on both houses on the same day. They were there every step of the way, extremely knowledgeable and responsive, and on top of every detail. They truly are top notch! 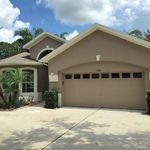 Bought and sold a Single Family home in 2016 for approximately $375K in Winter Springs, FL. Sold a home in 2016 for approximately $300K. Kathy was the most wonderful Realtor you ever had. She was impressive in promoting the house with beautiful photos in all angles. She was very helpful with the buyers and sellers. She was always there for us. Bought a home in 2016 for approximately $300K. I feel like Kathy is a good friend now. Whenever we called her with a problem or just wanting to go back to the house we were buying she made it happen. We have been in our house a week now and still feel comfortable calling Kathy about anything. I would highly recommend her as your Real Estate agent. Bought a Single Family home in 2015 for approximately $150K in Davenport, FL. 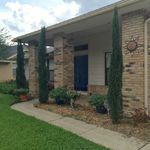 When we began looking for a house in the High Vista at Ridgewood Lakes community in June, 2015, Kathy was very energetic in her showing us eight houses in the span of one evening. Once we made our choice prior to returning home to Maryland, she arranged for a prompt home inspection prior to our committing to buying the house. She insisted we do so while submitting a bid, rather than wait for the bid to be accepted, not wanting to risk losing the bid. She also wanted us to be present for the home inspection rather than having it done after we returned home to Maryland. Once the bid was accepted, we signed all the necessary paperwork prior to our return home. Kathy arranged for a morgage lender which proved to be very adept at accepting a long distance mortgaage application. She remained on top of things to ensure a smooth closing in July, 2015. She also suggested contractors that we may screen to do needed work prior to arrival in Florida and after we settled in in mid September. Jeremy made selling our Davenport home a pleasure and made the process very easy. Jeremy and Jody responded very quickly at all times day or night to all of our questions and concerns. By the end of the sale, they felt like family. Jeremy and Jody walked us through our entire sale, from our first thoughts of selling to closing. They helped us with planning, staging, pricing, negotiating, and moving. They were with us every step of the way with expert advice that paid off in a full-price sale that went smoothly all the way to closing. We had several needs for staging, and J&J had references and experts available immediately to help, including roofers, painters, and handymen. We found their references to be professional and able to fit into our schedule. From end to end, It was a dream home sale, and Jeremy and Jody’s counsel, advice, and support were the main reason why. Bought and sold a Single Family home in 2016 for approximately $350K in Davenport, FL. Kathy is an absolute superstar, she is extremely responsive and how her team displays your house on the listing is second to none. If you are going to buy or list your house and if it's a 55 and older community Kathy is the only choice. Sold a Single Family home in 2016 for approximately $150K in Davenport, FL. Would not recommend. The first negotiation skill she lacked was taking our (the sellers) initial wishes into consideration, i.e., confidentiality, security, pricing. We asked her distinctly if she was representing us, but we do not feel that she did so. Unprofessional to the end, down to bringing a dog to the closing. Sold a Single Family home in 2016 for approximately $450K in Winter Springs, FL. Jeremy and Jody walked us through our entire sale, from our first thoughts of selling to closing. They helped us with planning, staging, pricing, negotiating, and moving. They were with us every step of the way with expert advice that paid off in a full-price sale that went smoothly all the way to closing. We had several needs for staging, and J&J had references and experts available immediately to help, including roofers, painters, and handymen. We found their references to be professional and able to fit into our schedule. From end to end, It was a dream home sale, and Jeremy and Jody's counsel, advice, and support were the main reason why. We can't recommend them enough! Sold a Single Family home in 2016 for approximately $225K in Davenport, FL. Jeremy made selling our home a pleasure and made the process very easy. Jeremy and jody responded very quickly at all times day or night to all of our questions and concerns. by the end of the sale he felt like family. Jeremy and Jody sold my home in Oviedo within 3 days. This team was impressive from the initial interview throughout the entire process. 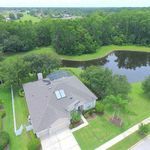 Jody staged my home and Jeremy’s use of the drone to capture HD photos and video presented my listing above and beyond the competition. Jeremy and Jody maintained constant contact throughout the various steps involved in the sale of my home. They were immediately responsive to all questions and concerns and have been by my side from our initial meeting through the closing. Jeremy and Jody’s negotiating skills are unmatched. They negotiated and secured highest offer $4100 over list. I highly recommend Jeremy and Jody Deabenderfer to manage all your real estate needs. My husband and I have called on the Deabenderfer’s every time we’ve wanted to sale or purchase a home, because they are hard-working and overall wonderful people! 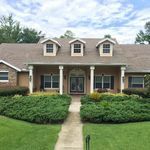 Showed home in 2016 in Center Hill, FL. Jeremy and Jody are an incredible team! 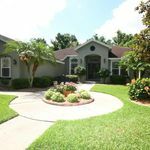 They were very knowledgeable about the current real estate market in Winter Springs, as well as the Geneva/Oviedo area. They were quick to respond to any question, or need we had. The aerial views of our home, as well as interior views were exceptional. They found a tenant for our home within 2 weeks of us listing and handled our closing on our new home seamlessly. I would highly recommend them to anyone looking to sell, lease or buy a new home. Truly Cares about her clients and their needs! I highly recommend Jody to anyone looking to buy or sell their home. I was able to provide homeowners insurance for a first time home buyer she represented. And she walked with them every step of the way through the home buying process. She truly cares about her clients and their needs! Totally knowledgeable Realtors in Central Florida. Call them if your looking to buy or sell your home in Central FL….you’ll be glad you did! Jody & Jeremy were both great to work with, they take care of every detail. They are both very professional and educated about the industry. We were so relaxed and stress free going through the process of selling our home because we knew we were in good hands. They kept us informed and guided us each step of the way. It was wonderful how our house sold within a week of being listed! We would definitely hire Jody & Jeremy again in the future and we highly recommend them to anyone looking for an excellent realtor team in Winter Springs. Sold a Single Family home in 2016 for approximately $200K in Oviedo, FL. 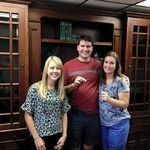 Jeremy and Jody sold my home in Oviedo within 3 days. This team was impressive from the initial interview throughout the entire process. Jody staged my home and Jeremy's use of the drone to capture HD photos and video presented my listing above and beyond the competition. Jeremy and Jody maintained constant contact throughout the various steps involved in the sale of my home. They were immediately responsive to all questions and concerns and have been by my side from our initial meeting through the closing. Jeremy and Jody's negotiating skills are unmatched. They negotiated and secured highest offer $4100 over list. I highly recommend Jeremy and Jody Deabenderfer to manage all your real estate needs. Jody & Jeremy of the JD Sells FL team were fantastic. After several months on the market with low foot traffic and no realistic offers, we decided we needed a realtor that brought something different to the game, to set us apart from the competition. Right from the first interview with Jody we recognized that she was an outside the box thinker. Jody & Jeremy went beyond just pictures, their use of drone technology to make a high definition video of the house, unique home address website & Youtube videos, showed their marketing acumen. They are in touch with the new way people search, view & make purchases. They were very proactive and alleviated the stress of selling. I knew that Jody & Jeremy were on top of everything, down to the most minute detail. I can unequivocally endorse Jody & Jeremy as their performance was fantastic! She was the buyer's agent for our home . . .
Jody is your go to agent if you need an informative, professional person to help guide you through the whole process of buying or selling a house! She was the buyer’s agent for our home in Florida and I wished she had been our agent to help us as the sellers. We liked her so much we asked her to help us find an agent for house hunting in Arizona. She found Angela for us here in Phoenix – we’re closing on our dream home this Monday! Jeremy and Jody make the perfect team . . .
Jeremy and Jody make the perfect team in selling your home in the Winter Springs area. Jody is great at staging the right look and feel to attract they buyer you are looking for. Jeremy is a seasoned professional in negotiating the fine details in the sales process and adds a great feature in the online virtual visit of your home and the perspective of your neighborhood. Jody and Jeremy are a very competent team! At our introductory meeting, they explained the process and advised us on how to prepare, stage and best price our home. They knew the market and our neighborhood. Jody and Jeremy were prompt to answer questions, offer advice and made it clear that they were working for us to obtain the best result and they did! They’re ultimate professionals and caring as well during a process that can be somewhat unnerving and intimidating. They have my highest recommendation. They go above and beyond . 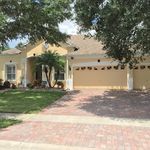 . .
Sold a Single Family home in 2015 for approximately $425K in Winter Springs, FL. Jody and Jeremy are a very competent team! At our introductory meeting, they explained the process and advised us on how to prepare, stage and best price our home. They knew the market and our neighborhood. Jody and Jeremy were prompt to answer questions, offer advice and made it clear that they were working for us to obtain the best result and they did! They're ultimate professionals and caring as well during a process that can be somewhat unnerving and intimidating. They have my highest recommendation. Bought a home in 2015 in Clifton, Winter Springs, FL 32708. Jody is your go to agent if you need an informative, professional person to help guide you through the whole process of buying or selling a house! She was the buyer's agent for our home in Florida and I wished she had been our agent to help us as the sellers. We liked her so much we asked her to help us find an agent for house hunting in Arizona. She found Angela for us here in Phoenix - we're closing on our dream home this Monday! Sold a Single Family home in 2015 for approximately $450K in Winter Springs, FL. Bought a Single Family home in 2016 in Longwood, FL. After 2 months and dozens of viewings, and 4 offers that weren't accepted, we switched realtors, and asked Jody for help. Within 2 weeks, we put an offer on a house, which was accepted. Jody's expertese guided us to the right house and right offer. I wish that we would have asked her to help us find s home, 2 months prior. She was very professional, and we always felt as if she was in our corner. 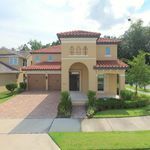 Bought and sold a Single Family home in 2016 for approximately $200K in Orlando, FL. Jeremey and Jody are professionals that not only take care of expected responsibilities but really go above and beyond. While Jody explained all of the paperwork in detail, Jeremy spent a few hours taking pictures and drone video of our house and property. Sold a Single Family home in 2015 for approximately $375K in Winter Springs, FL. Jody & the JD Sells Florida team were fantastic. After several months on the market with low foot traffic and no realistic offers, we decided we needed a realtor that brought something different to the game, to set us apart from the competition. Right from the first interview with Jody we recognized that she was an outside the box thinker. Jody & JD Sells went beyond just pictures, their use of drone technology to make a high definition video of the house, unique home address website & Youtube videos, showed their marketing acumen. They are in touch with the new way people search, view & make purchases. They were very proactive and alleviated the stress of selling. I knew that Jody & her team were on top of everything, down to the most minute detail. I can unequivocally endorse Jody & JD Sells, their performance was fantastic! 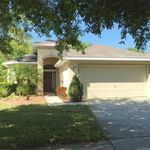 Bought and sold a Single Family home in 2015 for approximately $375K in Oviedo, FL. Jody and Jeremy were absolutely awesome with the sale of our house and purchase of our new home. They were extremely responsive and made the entire experience "easy" for us. I would highly recommend Jody and Jeremy if you're looking to sell and/or purchase a home. They were able to sell our home within 4 days! Jody and Jeremy Deabenderfer were absolutely wonderful to work with!! They walked us through every step of the home selling and home buying experience! After 16 years of being in the same house…we had forgotten all that goes into selling a home. Their knowledge of the housing market…including pricing, staging and marketing a home was invaluable. They were able to sell our home within 4 days! They helped us with tips to get our home ready to sell and then were so communicative during the selling process. We were so happy to work with them on the buying side of our home search too! 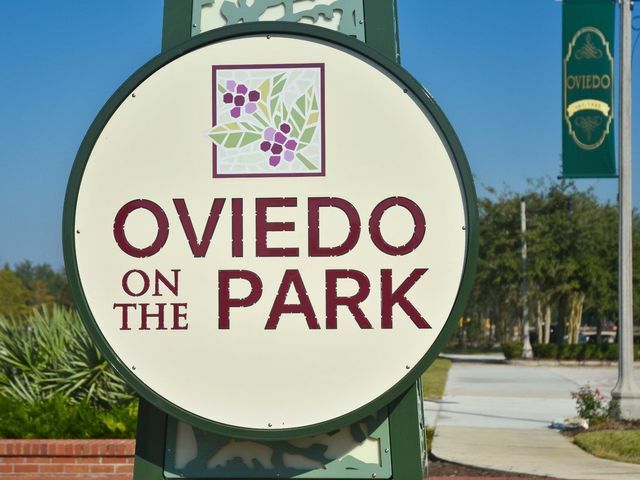 There knowledge of the local area in Oviedo and homes going up for sale, led us to a home that is just perfect for our family! With their ties to the local community, they have built long standing relationships with many people in the home industry. They were able to connect us with people to help with financing, insurance and more. Jody and Jeremy made both selling and purchasing a home such a smooth process. They were always available to answer questions and truly care about their clients happiness! We would HIGHLY recommend the JD Sells team to anyone looking to buy or sell in the Central Florida community. Bought and sold a Single Family home in 2015 for approximately $300K in Oviedo, FL. Jody and Jeremy Deabenderfer were absolutely wonderful to work with!! They walked us through every step of the home selling and home buying experience! After 16 years of being in the same house...we had forgotten all that goes into selling a home. Their knowledge of the housing market...including pricing, staging and marketing a home was invaluable. They were able to sell our home within 4 days! They helped us with tips to get our home ready to sell and then were so communicative during the selling process. We were so happy to work with them on the buying side of our home search too! There knowledge of the local area and homes going up for sale, led us to a home that is just perfect for our family! Jody & Jeremy Deabenderfer are THE BEST! The BEST! You won’t find a more professional real estate team than Jody & Jeremy Deabenderfer. They’ve helped me both buying and selling 3 personal residences and 5 rental properties over the past 10 years. My loyalty speaks to their attention to detail and excellent results. Thank you. Sold a Single Family home in 2015 for approximately $225K in Lockhart, Orlando, FL. The BEST! You won't find a more professional real estate team than Jody & Jeremy Deabenderfer. They've helped me both buying and selling 3 personal residences and 5 rental properties over the past 10 years. My loyalty speaks to their attention to detail and excellent results. Thank you. Amazing experience, We sold and bought a home seemlessly. Attention to detail and accessibility were like no other it was like we were her only clients. The pictures of our home were beautiful and modern we had a few showings and offer the next day! Amazing experience sold and bought a home seemlessly. Attention to detail and accessibility were like no other it was like we were her only clients. The pictures of our home were beautiful and modern we had a few showings and and offer the next day. Such an amazing team to work with!! Such an amazing team to work with!! We unfortunately had to go through a short sale and Jody and Jeremy made this process as smooth as it could have been. They were knowledgeable of exactly what we needed to do and when. They kept us informed the entire way so we knew what was going on all along. During this process we worked with them for almost 7 long months and we couldn’t have asked for more from them. They were so on top of things!! Bought and sold a home in 2015 in Orlando, FL. Such an amazing team to work with!! We unfortunately had to go through a short sale and Jody and Jeremy made this process as smooth as it could have been. They were knowledgeable of exactly what we needed to do and when. They kept us informed the entire way so we knew what was going on all along. During this process we worked with them for almost 7 long months and we couldn't have asked for more from them. They were so on top of things!! Jody was absolutely the best!! She guided my wife and I on our first home purchase, very knowledgeable, and listened to what we needed and found us an absolutely wonderful house. She was always available to answer any questions (and we had a lot) and we never felt rushed on any of our days viewing homes. She really is wonderful and I would not recommend her any higher!! Bought a Single Family home in 2015 for approximately $200K in Winter Park, FL. Jody is absolutely wonderful!!! As a first time home buyer, my wife and I had a lot to learn. Jody educated us along the way and took the time to make sure all of our questions were answered. She really did listen to our needs and found us homes that suited them perfectly. She was very knowledgeable of not just the area but also all aspects of the home buying process. You can not go wrong when you go with Jody!! Bought and sold a Single Family home in 2015 for approximately $200K in Davenport, FL. She goes out of her to make sure that the houses she is showing are staged just right. 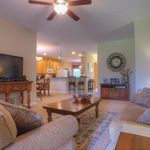 The quality of the photos and videos used in her listings are superior to most that we have seen. She knows what is needed to be done to sell or buy a house. We appreciated her thoroughness and her conscientiousness. Her professionalism and knowledge ensured that nothing derailed the transaction. We’re moving back to the Winter Springs area from out of town and couldn’t have done it without Jody and Jeremy! My wife and I both work in real estate related fields and have a lot of experience with Realtors. Jody is the BEST by far! Her knowledge of the area ensured we found the perfect house for us. She was patient and understanding of our needs while showing us tons of houses. But even more than finding a house, she controlled the process from start to finish. Her professionalism and knowledge ensured that nothing derailed the transaction. You cannot choose a better Realtor than Jody or Jeremy. Jody was great to work with. She helped us to list our home quickly, with advice on staging and pricing, and we were able to get an offer in just over a week. 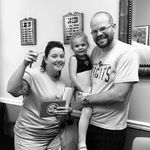 from that point she was great with showings as needed and helped us to secure a home quickly, align closing dates, and finalize both transactions. We will suggest her to anyone that needs assistance in the area. Bought a Single Family home in 2015 for approximately $275K in Winter Springs, FL. We're moving back to the Winter Springs area from out of town and couldn't have done it without Jody and Jeremy! My wife and I both work in real estate related fields and have a lot of experience with Realtors. Jody is the BEST by far! Her knowledge of the area ensured we found the perfect house for us. She was patient and understanding of our needs while showing us tons of houses. But even more than finding a house, she controlled the process from start to finish. Her professionalism and knowledge ensured that nothing derailed the transaction. You cannot choose a better Realtor than Jody or Jeremy. Bought and sold a Single Family home in 2015 for approximately $500K in Winter Springs, FL. We used Jody for the buying and selling process of our homes and would use her again if the time came! Jody was so attentive to us and on the ball with the entire process. From the time we decided to list our house she visited several times and helped with staging and helped with time lines to ensure our house was on the market at the right time and also did a lot of research to ensure we listed at the right price. Once it was time to list the house and she sent me the MLS listing I was blown away -- the house looked awesome and I would want to buy it again 🙂 Their marketing is top notch! Once we had our home listed she helped us preview some potential new homes so we were ready to put in an offer when the time came -- she was awesome, provoked questions I wouldn't have thought of and pointed out features or drawbacks I probably wouldn't have recognized until too late. Jody also ensured that our processes for both houses were as easy as possible -- she always kept us well informed and was attentive and made the process as easy as I think it could be. We would highly recommend Jody to anyone who is looking for a realtor to buy or sell -- she gets the job done, treats you like a friend not just a client and makes the process easy all while getting you the best deals possible! Jeremy, thanks so much for going above and beyond to sell our home in a tough market! We loved the attractive brochures, appreciated all the advertisements in papers, magazines, web sites, pictures, videos, etc.. I’m sure that there was a lot more that you did that we don’t know about. Thanks very much! We can’t thank you enough for taking care of the sale of our home. You were always available when we needed you and you were a pleasure to work with. As you know we were originally trying to sell our home ourselves and after a long time of getting no results and having other people waste our time, you came along and changed everything. We still can’t believe that you were able to have our home under contract within 5 days of listing it! Thanks again for handling everything while we moved across country, your the best!! Above all, his honesty is above reproach. Over the past several months, we have had the occasion to utilize the professional services of Jeremy Deabenderfer, Realtor. In 25 years in transacting in real estate, we have never found another realtor and or broker to have such unique talents and interest. We found him to be knowledgeable, warm, conscientious, hardworking, and diligent in whatever goals we have set before him. He has kept us informed in every step of the processes, both from a buying and selling point of view. We advise all buyers and sellers to keep their eyes fixed on Jeremy—he is a young man who is going places in life and if you climb on board you can ride the wave along with him and come out landing on your feet. Above all, his honesty is above reproach. We have utilized Jeremy’s services 3 times and each time we were amazed. We will definitely being using him again in any future endeavor. We have searched high and low for a realtor who meets our needs and we have finally found one in Jeremy—sorry Jeremy you are stuck with us. There are just no words to say how highly we recommend him—or has a scale been invented to rate him by—because on a scale from 1 – 10 with 10 being the highest, we would have to say 10 + + + + + + + + ++ + +…, the pluses would never end. Our experience with Jeremy was one of focused professionalism with straight forward answers. We put our home on the market in the summer in the highly competitive Rock Springs Ridge Subdivision. Jeremy kept us abreast of the re-sale pricing and changes as well as the builder pricing plus incentives which allowed us to make the right pricing decisions regarding our home. His marketing of our home as well as his web site management provided us with the best in marketing opportunities. His own website provided the buyer for our home! If you are ready to sell your home and willing to listen to straight forward answers and guidance – Jeremy is your man! Jody and Jeremy make a great team! I have had the distinct pleasure of being neighbors and friends with Jody and Jeremy as well as their real estate customer. Jody and Jeremy make a great team! I have purchased and sold six homes in my lifetime and have had several real estate agents over the term and I have to say Jody and Jeremy ranked number one on the list of agents that I have dealt with. Jody and Jeremy are exceptionally professional and deal with all facets of the real estate sale effectively and efficiently. 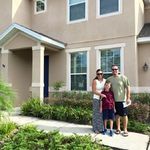 Jody and Jeremy not only helped me sell my home in Orlando in record time to transition to a new city due to a work relocation but also helped me with after the sale details once I was transitioned to my new city. It would give me great pleasure to highly recommend Jody and Jeremy for your real estate needs! Jody and Jeremy helped us sell our house, and they were fantastic! Jody and Jeremy helped us sell our house, and they were fantastic! We were so glad to have their guidance. They helped us prepare it to show, walked us through everything we could do to get the house ready to sell, and explained the process to us. We got an offer the first business day it was on the market. We couldn’t believe how easy and smooth the process was, and I believe Jody and Jeremy had a lot to do with that. I would not hesitate to recommend them to anyone looking for a Realtor, and in fact I have recommended them several times to friends. You will not be sorry if you go with them. Jody was great! She helped me find the perfect home. Jody was a perfect fit for us! Jody was a perfect fit for us! We recently worked with Jody Deabenderfer in both selling our previous home and purchasing a new one. She assisted us in setting goals and staying focused on them throughout the process. It always seemed that just when we were thinking of a question, she had already emailed us an answer and more. Jody was with us to explore our numerous options regarding where to move, as well as stage our home for a professional photography session and the showings that followed. Our home was marketed beautifully online. Jody also educated us on many steps of buying and selling, attending our home inspections, appraisals and all meetings necessary to reach a successful closing on both ends. Jody communicated with title companies, banks, other realtors, and all other parties involved. She was always guiding us, providing knowledge and clear explanations. Even when ups and downs occurred, Jody knew how to navigate in our best interest. We highly recommend Jody due to her loyalty to her clients and her ability to take care of all the details alongside them. Happy in our new home! I could not say enough good things about Jody and would highly recommend her to anyone buying or selling their home! Jody was an excellent REALTOR. She helped us buy a wonderful home that we love. She assisted with everything that goes along with it – the home inspection, getting our home to close on time, all recommendations for home renovations, etc. In addition, she sold our house quickly by making it top priority. She helped us stage our home and helped with everything along the way including pricing the home right, showings, etc. She answered every question we had and handled everything in a professional and friendly manner. She was attentive and very helpful. I could not say enough good things about Jody and would highly recommend her to anyone buying or selling their home. We were extremely pleased and would not choose anyone else.